For their 25th anniversary, the folks at Creemore Springs have paired up with German brewery Zum Schlüssel to create a special edition, Altbier. 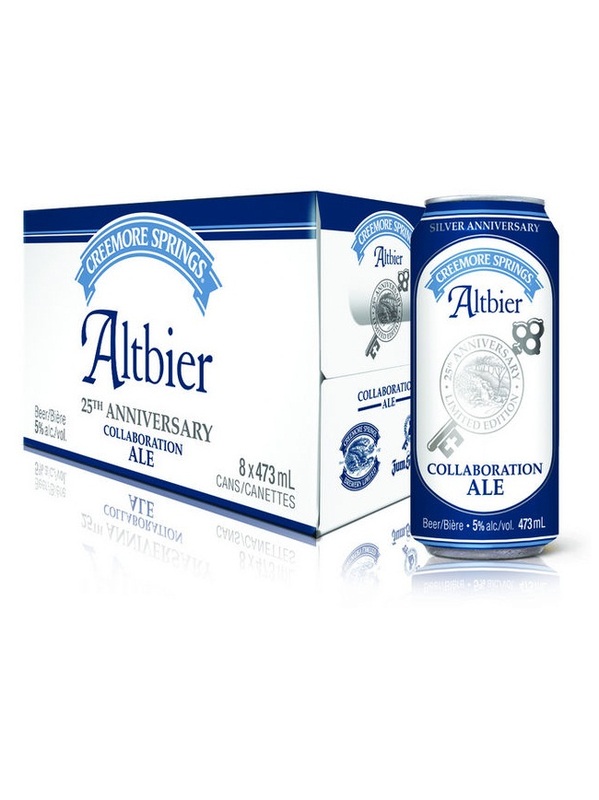 Creemore’s Altbier is the resulting collaborative masterpiece from Creemore Springs, and is a dark mahogany-hued ale with subtle roasted malt flavours and an intensifying hop finish that makes every sip of this beer taste fuller and richer. The Altbier beer style was developed in the middle of the 19th century by four small brewpubs, all within easy walking distance from each other. Thanks to the each brewpub’s special, proprietary yeast, each of their Altbiers has a signature flavor, which makes them entirely unique and rare in the world. With a goal of celebrating Creemore’s 25th anniversary in a big way, Creemore Brewmaster Gordon Fuller and head brewer Bryan Egan travelled to Düsseldorf in early 2012, to immerse themselves in German brewing culture. Learning trade secrets from the brewers at Zum Schlüssel allowed them to create a unique and special variety of their own Altbier at home in Canada. Zum Schlüssel even generously shared some of its centuries-old yeast with Egan and Fuller to take back to Creemore Springs. The truly unique legacy of this collaboration was about more than Creemore making an Altbier - it was about brewing an authentic Altbier because of the yeast and the collaboration with the German brewers. 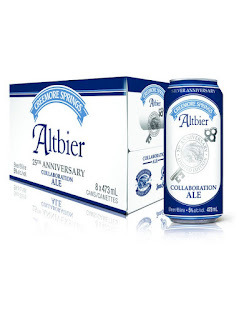 Creemore’s 25th anniversary special edition Altbier will be available in 473 ml cans at LCBOs for $2.80 and draught throughout Ontario in August and September only. For more information on Creemore Springs, visit www.creemoresprings.com, visit us on Facebook at www.facebook.com/CreemoreSprings or on Twitter @CreemoreSprings.